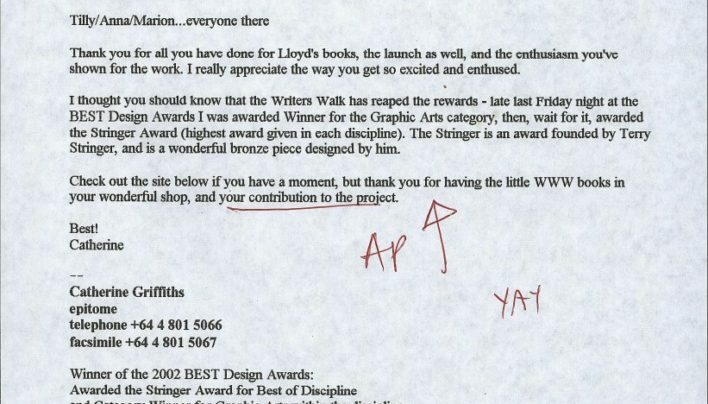 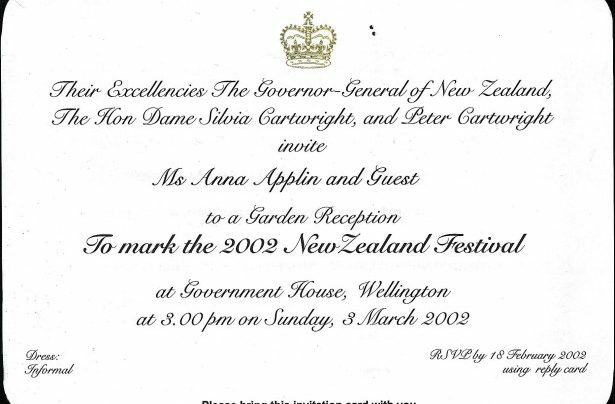 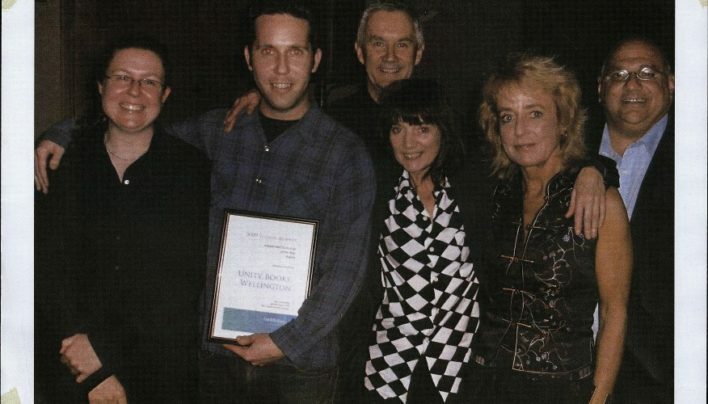 An invitation to a reception celebrating the 2002 New Zealand Festival. 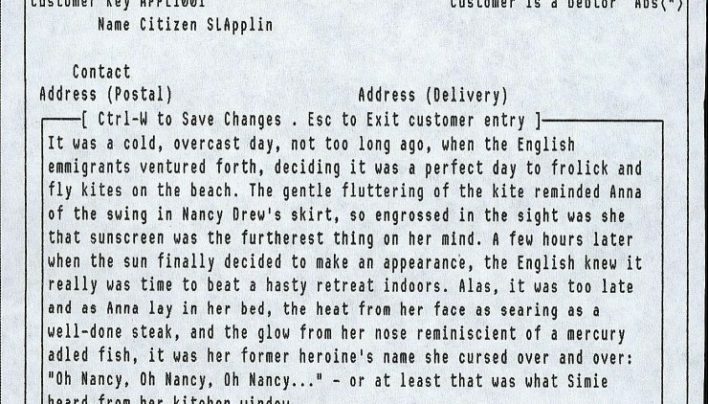 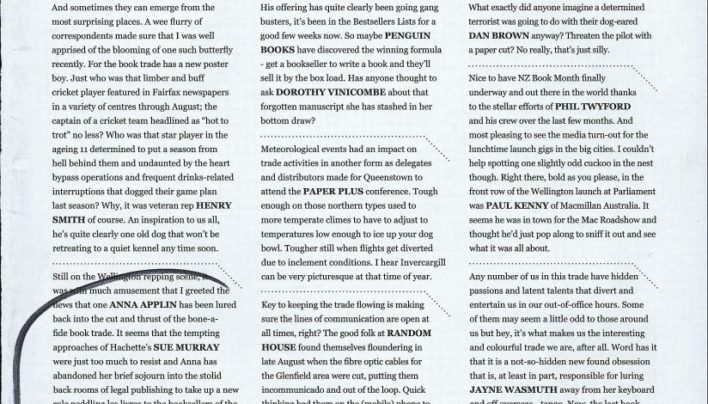 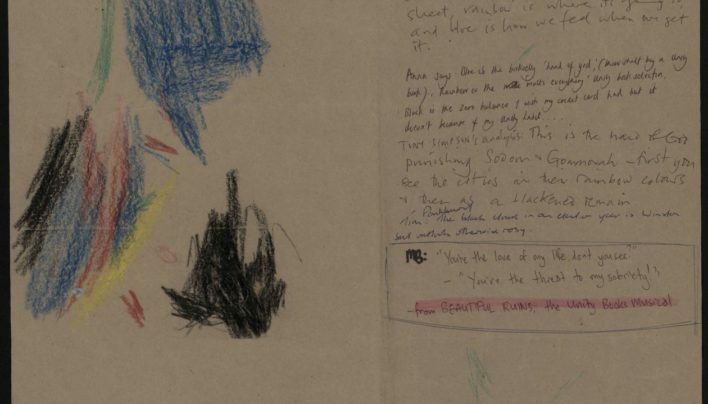 Simie Simpson describes colleague Anna Applin in her “customer notes”. 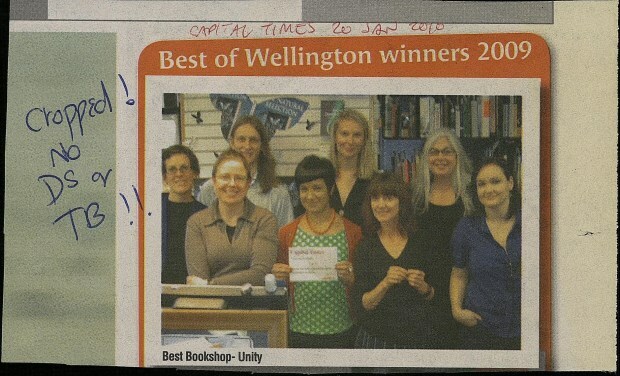 Unity Books Wellington were the proud recipients of the Thorpe-Bowker Independent Bookseller of the Year Award in 2009. 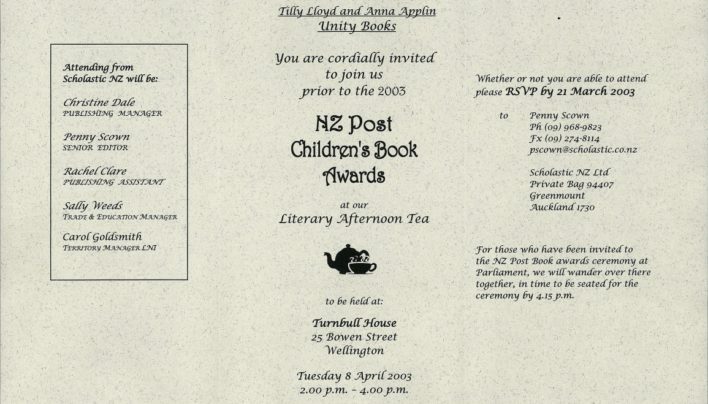 Scholastic NZ held a pre-awards Literary Afternoon Tea just prior to the ceremony for the 2003 NZ Post Children’s Book Awards. 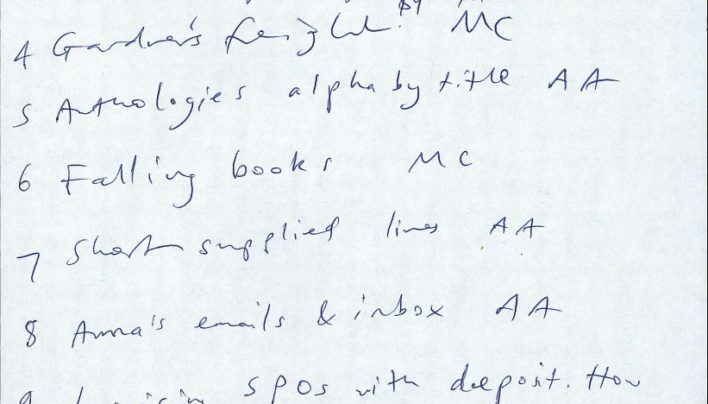 Anna Applin’s illegible agenda for a staff meeting. 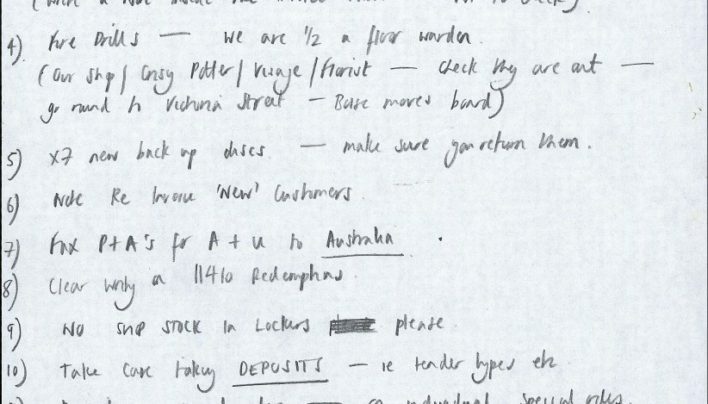 A meeting to make sure everyone is up to speed on shop systems before the Christmas rush.